Owls stand apart from all other birds. Their beauty and unique, expressive faces are immediately familiar to us. 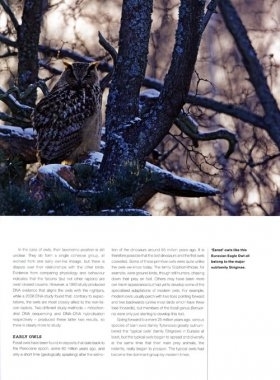 However, close encounters with wild owls are rare. The typical owl experience – a haunting cry disturbing our sleep, a half-imagined shape flickering throughout the headlights' beam – only serves to heighten their mystery. No wonder owls have inspired lore and legends across the world, and are often considered as portents or omens. Studying owls presents all kinds of challenges. Most species are active only at night, any many inhabit inaccessible wilderness. However, through the hard work of dedicated ornithologists, we are slowly uncovering the mysteries of owl life. They take their prey with deadly efficiency, may ruthlessly eliminate their competitors, yet are tender and devoted parents and partners. Some are long-distance migrants, others ceaselessly wandering nomads, while some never leave one small patch of habitat. Owls can see in the darkest night, can hear a vole moving under thick snow, and fly and hover without a sound. 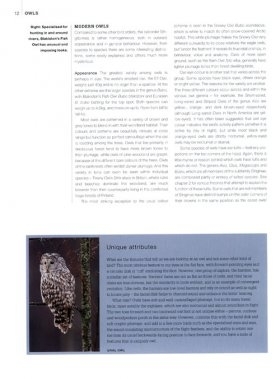 Owls is divided into two parts, the first giving a general overview of owls and their lives, with chapters on senses and intelligence, hunting and diet, habitat, courtship and breeding, migration, conservation and the relationship between owls and people. 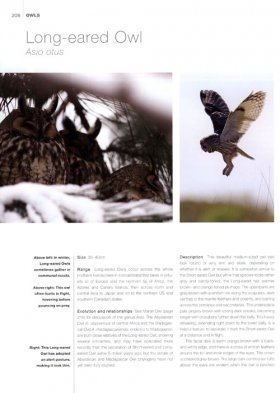 The second part presents detailed accounts of all the owl species found in the northern hemisphere. Spectacular photographs throughout give extra insight into their lives. 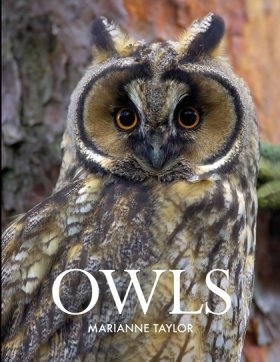 Written with depth, clarity and a wealth of fascinating detail, Owls is for everyone enchanted by owls.